Since April 2014, pro-Russian separatists in the Donetsk and Luhansk regions of east Ukraine have been waging a deadly battle with Ukrainian forces. More than 6,000 people have been killed over the course of the year. April 6: Pro-Russian protesters take over official buildings local government offices and headquarters of the Ukrainian security service (SBU) in numerous cities in eastern Ukraine, including Donetsk, Luhansk and Kharkiv. They declare their autonomy from Ukraine in the wake of the ousting of Kremlin-backed leader Viktor Yanukovych. April 7: They declare the Donetsk People's Republic (DNR), followed by the Luhansk "republic" on 27 April. 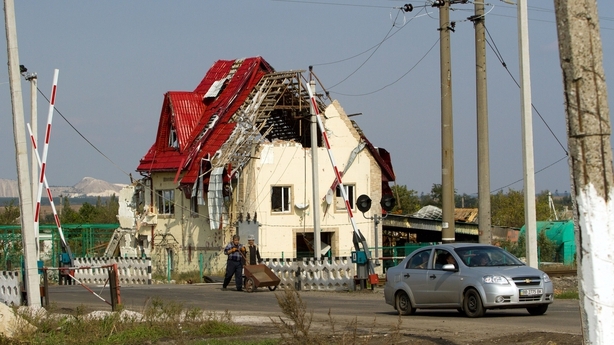 April 12: Pro-Russian separatists take control of the city of Slavyansk and turn it into their stronghold. The city is not taken back under control of the Ukrainian army until 5 July. 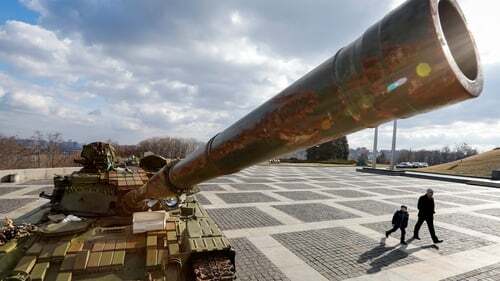 April 14: Ukraine's acting president Oleksandr Turchynov signs the decree to launch measures to "counter terrorist threat(s) and secure Ukraine's territorial integrity" - which becomes known as the "anti-terrorist operation" in the east (ATO). May 2: More than 40 people are killed in coastal city Odessa in southern Ukraine, in clashes between pro-Ukrainians and separatist supporters. Most victims perish in a fire after a building with dozens of pro-Russia protesters catches alight in the crossfire of bullets and Molotov cocktails. The violence prompts fears that the separatist uprising will spread to southern Ukraine and trigger a response from Russia. May 11: A self-declared referendum on independence for the "people's republics" of Donetsk and Luhansk records an overwhelming "Yes" vote. The vote is considered illegitimate by Kiev and the West who fear a scenario similar to Crimea, seized by Russia and formally annexed in March following a disputed referendum. Moscow reacts with "respect" though without formally recognising the smaller rebel states. May 25: Chocolate billionaire Petro Poroshenko is elected Ukrainian president in a vote boycotted in rebel territory on claims he will stamp out the uprising. As Mr Poroshenko's victory is being confirmed pro-Russian separatists seize the state-of-the-art Donetsk airport. The Ukrainian army partially regains control following airstrikes, sparking months of clashes for the transport hub that is only finally fully captured by rebels in January. July 5: Rebels abandon their bastion of Slavyansk for the major hub of Donetsk in the face of a government onslaught. 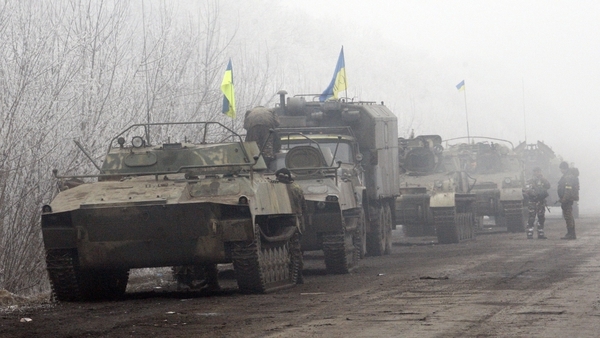 The capture of the key city marks the start of a brief period of gains for Ukrainian forces. July 17: Malaysia Airlines flight MH17 crashes in eastern Ukraine in a zone controlled by the pro-Russian separatists, likely shot down by a surface-to-air missile. All 298 people on board are killed. August 19: Pro-Russian separatist forces turn the tide on the government, surrounding Ukrainian troops in the railroad hub of Ilovaisk, in their biggest defeat to date with over a hundred soldiers killed. Kiev accuses Moscow of sending Russian troops to spearhead the operation, claims denied by the Kremlin. September 5: A ceasefire agreement is reached in Minsk between Russia, Ukraine, the pro-Moscow separatists and international monitors, with a roadmap for peace later laid out on September 20. The deal, however, fails to halt the violence. November 2: The east Ukrainian separatist regions hold leadership elections denounced by Kiev as a breach of the peace deal. Former electrician Alexander Zakharchenko cements his position at the helm of the Donetsk "republic" while Igor Plotnitsky becomes his counterpart in Lugansk. November 5: Ukraine announces a halt to public financing of the separatist regions. But Kiev says it will not cut water and gas to avert a humanitarian disaster. February 12: Ukrainian President Petro Poroshenko, Russia's Vladimir Putin, France's Francois Hollande and German Chancellor Angela Merkel hammer out a deal after marathon talks in Minsk aimed at ending violence in Ukraine. Kiev and the rebels ink a pact agreeing to a ceasefire and the withdrawal of heavy weapons. The peace plan also envisions talks on autonomy for the rebel regions and Ukraine reclaiming control of its border. February 18: Ukrainian forces abandon the key strategic town of Debaltseve in the face of a ferocious separatist onslaught that continued despite the supposed start of the truce. In the wake of the battle, the ceasefire deal begins to take hold with a period of relative calm along the frontline despite sporadic clashes at isolated hotspots.